Setting up CUE 1 is quick and easy. Follow the simple steps below to unleash the power of CUE 1. IMPORTANT: The device running the CUE 1 app must be connected to the same wireless network as the Eos®/ Ion® console. The first step is setting up your lighting software (You MUST be running version 1.9.5 or later of the Eos®/ Ion® software). Next you must make a few adjustments to the [Show Settings]. Launch the Eos®/ Ion® software and open your desired show file. Using the browser, navigate to [Show Settings]. Select the [Show Control] button (left hand side). Set [String RX] to Enabled. Set [String RX Port] to 55555. 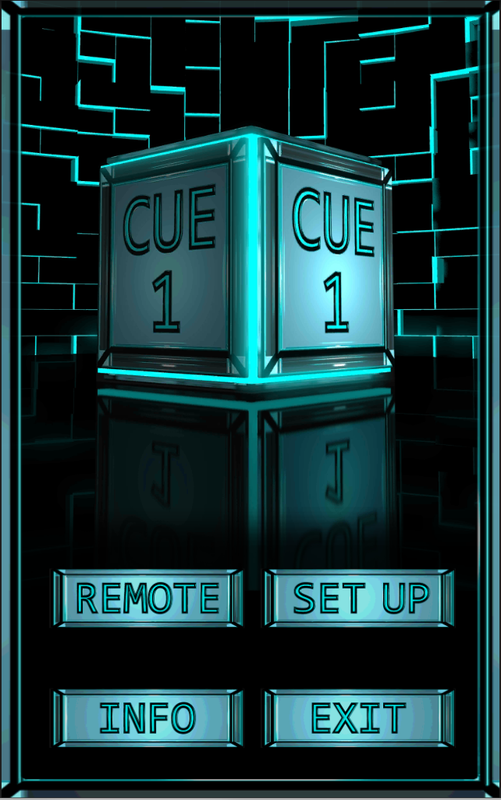 The final step is setting up the CUE 1 app. Open CUE 1 and select the [Set Up] button. This will reveal the [Settings] screen. 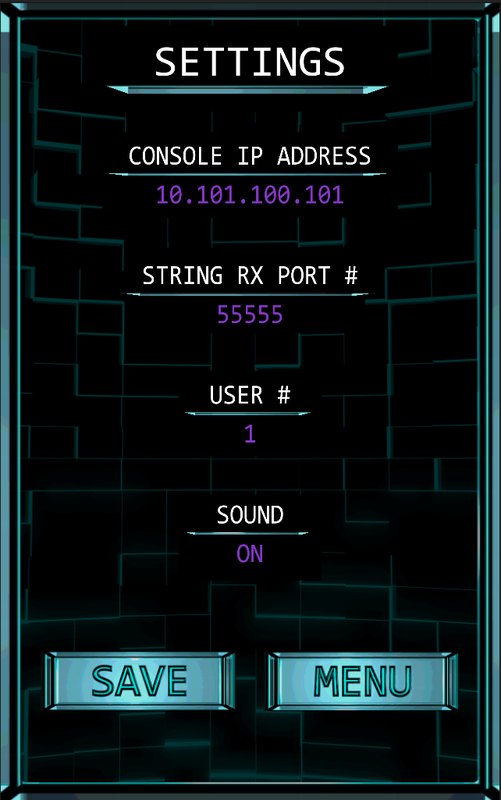 Select [Console IP Address] and set this value to the IP Address of your lighting console. Select [String RX Port #] and set this value to the String RX Port value of your lighting software (see Step 2 above). Select [User #] and set this value to your desired User # value. The default value of 1 is a good place to start. However, it is recommended to experiment with this value to discover what works best for your situation. (see the How To Use page for more info). Select the [Sound] option to toggle ON/OFF the CUE 1 sounds. Select the [Save] button (these values will be saved so that you do not need to re-enter them each time you start up CUE 1). And that's it ! Have fun with CUE 1.